This category offers exciting objects within the field of Asian Ceramics and Works of Art from China, Japan, India and Southeast Asia. To name some objects: export porcelain, imperial porcelain, oriental furniture, textiles, lacquerware, jewellery, cloisonné, Buddha’s, scrolls, jade work and early pottery figures. During the 17th century, Europeans became interested in Asia, especially China and Japan, in conjunction with the emergence of the East Indian Companies. In 1731 Sweden got its own East Indian Company and two years later, the company had its first trip to China. The trade with the eastern countries in the 1600s and 1700s reflects the abundance of the beautiful Asian objects that have reached Scandinavia. 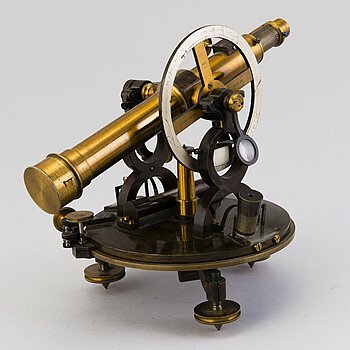 A German Theodolite by Pistor & Martins, no 1127, Berlin, around the turn of the 20th Century. 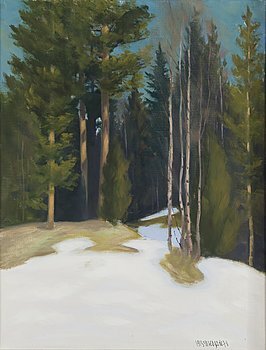 TAPIO HAILI, oil on canvas, signed and dated -82. BORIS MIKOJAN, oil on canvas, signed and dated -78. ERIK ENROTH, mixed media, signed and dated -49. ANTTI LAMPISUO, oil on canvas, signed. Two silk scarves from Yves Saint Laurent and Cartier. A late 20th century ceiling light. ANNE NILSSON, a glass, vase, signed, Orrefors late 20th century. 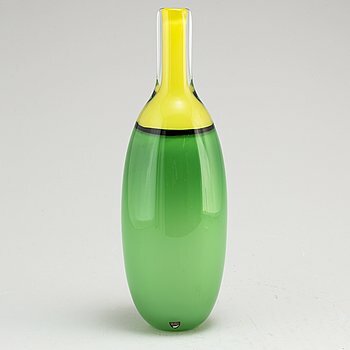 ANNE NILSSON, a glass vase, Orrefors, late 20th century. A pair of model 2236 'Bond' armchairs from Natuzzi, Italy, 21st Century. A second half of the 20th century dining table. 18K gold necklace, with brilliant-cut diamonds. A Gunilla Allard "Chicago Trolley I", for Lammhults. An early 20th century Louis XVI-style pendulum clock. OMEGA, De Ville, wristwatch, 33,5 mm. An early 20th century writing desk. YNGVE EKSTRÖM, a set of four 'Pinnochio' chairs. PETER EKLÅS, coffee table, 'Velodrome, Designtorget, 21st century. A 19th cnetury chest of drawers. AN EVALD NIELSEN BROOCH, amber and silver. SAJ Jacobsen (1937-73), Denmark. An English 19th century sofa. DIAMOND RING 18K gold and whitegold 9 brilliant-cut diamonds 0,64 ct engraved, ALTON Falköping 1998. PENDANT 18K godl and whitegold brilliant-cut diamonds approx 0,10 ct in total, 10,8 g, Falköping 1990. PEARL NECKLACE cultured pearls approx 6 mm w clasp 18K whitegold w 3 single-cut diamonds approx 0.05 ct, pearl divider. FEODOR POROKARA, watercolour, signed and dated -82. 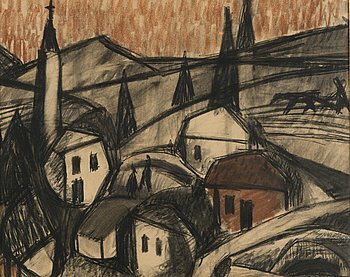 TUULIKKI PIETILÄ, lithograph, signed and dated 1954, numbered 193/250. 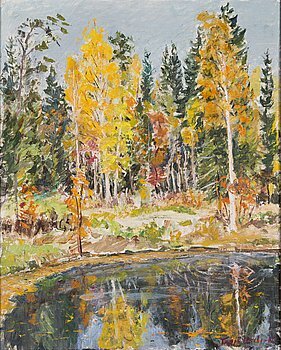 OLAVI VEPSÄLÄINEN, oil on canvas, signed and dated 1981. NANNY STILL, five 1960s 'Flindari', carafes for Riihimäen Lasi. Finland. BREITLING, wristwatch, chronograph, 43.7 mm. UNKNOWN ARTIST, 19th Century, oil on canvas, signed F. Lane. YEMA, Meangraf Super, wristwatch, chronograph, 37 mm. A mid 20th century cabinet. Two silk scarves from Chanel and Cartier. A mid 20th century sofa with a pair of armchairs. A 1930s/1940s Baroque style oak cabinet. A pair of early 20th Century Jugend wardrobes. A mid-20th Century table lamp. 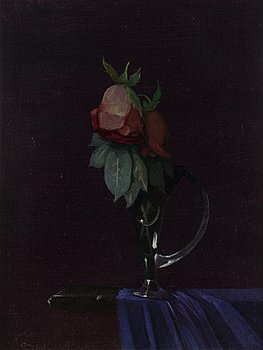 YNGVE BÄCK, oil on canvas, signed and dated 1936. OLOF OTTELIN, A 1960s sideboard "Beta-series", Oy Stockmann Ab, Keravan puusepäntehdas, Finland. YNGVE BÄCK, oil on canvas, signed and dated 1938. A pair of arm chairs, probably the Baltics from around the turn of the 20th Century. An end of the 19th century chest of drawers. GEORG JENSEN, wristwatch, 33 x 40 mm. AN ANTIQUE ANATOLIAN KILIM, around 363-376 x 87-91 and 355 -368 x 81-87 cm. MOVADO, Chronometre, wristwatch, 21,5 mm. A mashine woven carpet, "Ester 600", designed by Gunilla Lagerhem-Ullberg, around 350 x 232-274 cm. ROBERTO LAURO, sculpture, metal and glass, signed and dated 9511. A late 19th century cupboard. A Baroque-style mirror from ca 1900. OMEGA, Genève, wristwatch, 35 mm. A late 1990s 'Concrete' table by Jonas Bohlin, Källemo, Värnamo. An end of the 19th Century composite rococo style table. MARIE-LOUISE EKMAN, sculpture/object signed and dated 1976. JOHANN ADELHARD, attributed to. Painting in wood/intarsia. 18 x 16.5 cm. STIG LINDBERG, a set of two stoneware bowls and a box, Gustavsberg studio, Sweden 1960, 1963 and 1956-57. Seven glass jars by Catti Åsélius Lidbeck, Lindshammar. A CARPET, Kashan 478 x 343 cm. A CARPET, Kilim Afghan, ca 390 x 258 cm. A RUNNER, flat weave, around 377 x 85 cm. A CARPET, kilim, ca 293 x 208 cm. A carpet, Kilim 297 x 202 cm. A CARPET, Figural kashmar, ca 397 x 297 cm. A CARPET, Kashan, ca 306 x 204 cm. A RUNNER, Hosenabad, ca 375 x 86 cm. A CARPET, Vorwerk, around 387 x 288 cm. MATTA, Keshan, ca 393 x 287 cm. A carpet, Kashan, signed, ca 371 x 262 cm. A CARPET, embroided flat weave, 298 x 256 cm. a set of three gustavian chairs. INGEBORG LUNDIN, a glass vase, Orrefors, signed. ALEXANDER MCQUEEN, an embroidered silk mix bomber jacket, Italian size 54. 2017.
a coffee table by Algot Törneman. ALEXANDER MCQUEEN, a cotton velvet jacket, Italian size 52. 2017. GUNNAR CYRÉN, three silverplated figurines, Danish design, Japan. A RUNNER, Western Iran, ca 327,5 x 84,5 cm. ALEXANDER MCQUEEN, a wool and viscose jacket, Italian size 54. Fashion show piece 2017. FINN JUHL, 6 chairs, model 197. France and Søn, Denmark, 1950s. HANS BERGSTRÖM, a 1940´s table lamp. a table lamp from the second half of the 20th century. Six 'Haga' chairs by Attila Suta. A Swedish late gustavian games table, late 18th century. PAOLO RIZZATTO, '265 Wall' Light from Arteluce, Italy. 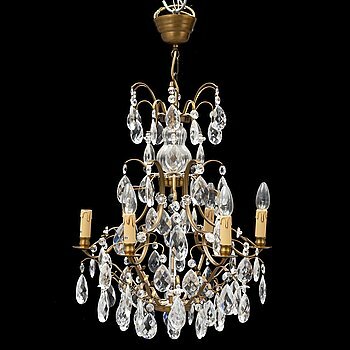 A mid 20th Century rococo style chandelier with glass prisms. A pair of early 20th century bedside tables. A model MP-211 sofa by Percival Lafer, 1970s. 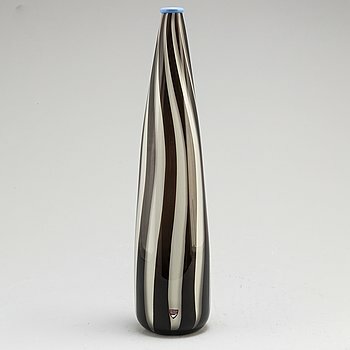 ULRICA HYDMAN-VALLIEN, a glass vase, Kosta Boda, signed. A second half of the 20th century Cottex floor lamp. ANDERS ZORN, etching, 1915, signed.